Plan on packing a picnic or hosting a barbecue this weekend in celebration of Memorial Day? Here are some tasty, warm-weather recipes from The Food Network and its star chefs that would make for delicious additions to your long Memorial Day weekend. 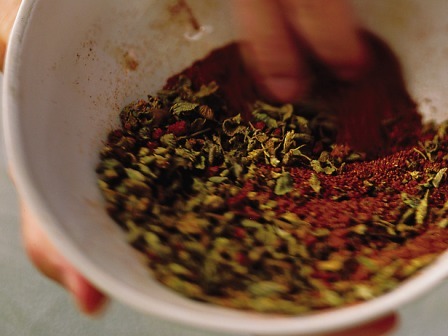 Combine the dressing ingredients in a blender, using two teaspoons salt and pepper to taste; process until smooth. Combine the salad ingredients in a large bowl and toss with the dressing. Let sit at least 15 minutes before serving, or cover and refrigerate for up to four hours. Smash the garlic cloves; sprinkle with a generous pinch of salt and, with the flat side of a large knife, mash and smear mixture to a coarse paste. Stir garlic paste, the 1/4 teaspoon salt, cola, ketchup, vinegar, Worcestershire, chili powder, one teaspoon black pepper, 1/2 teaspoon hot sauce and allspice together in a small saucepan. Bring to a boil, reduce heat, and simmer until thickened, about 45 minutes. 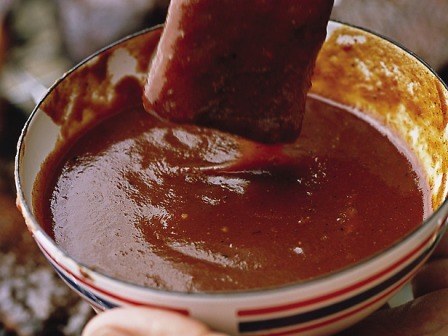 Allow to cool slightly, stir in the lime juice, and season with black pepper and hot sauce, to taste. Mix brown sugar, Italian seasoning, mustard, garlic, paprika, ginger, orange peel, salt, pumpkin pie spice, black pepper and cayenne in a bowl. Pulse in a spice grinder in a few batches until finely ground. Seal in an airtight container and store in a cool, dry place for up to two months. *Many markets sell halved melons and wedges of watermelon, making it easy to prepare this salad closer to desired amounts. Combine lime juice, tequila, liqueur and sugar in a bowl. Add melons and toss to coat with tequila and lime. Serve in shallow bowls. 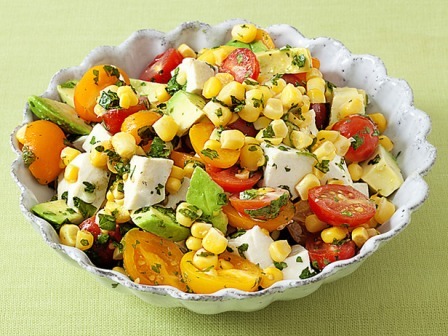 Yummm that corn tomato and avacado salad looks so good! Even better than the bbq food I had yesterday!